“Twelve months ago, we couldn’t have foreseen the growth that has occurred”. 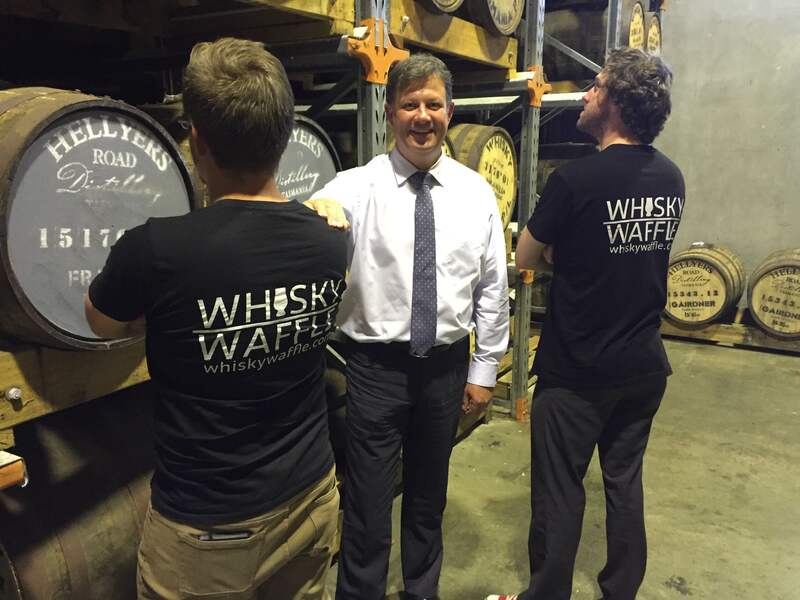 Hellyers Road Distillery has always been a welcoming and friendly place to we Whisky Waffle boys, a fact that was abundantly apparent when we sat down to lunch with Master Distiller Mark Littler and media manager Don Jennings. In 8 to 10 years these babies are gonna taste great! 2015 has been a busy year for the distillery with sales increasing by 50% in Australia, as well as expanding distribution throughout 30 European countries and tapping a new market in Japan. Due to demand, Mark has fired up the stills once more, originally planning a 30 week brewing program which has now been extended indefinitely. One of the new priorities of the distillery is exploring the connection to its namesake Henry Hellyer. With the limited release Henry’s Legacy range continuing to fly out the door, and future releases in the pipeline, Don envisages an interpretation centre telling Henry’s story and pointing out his discoveries. New Henry’s Legacy bottlings are not the only future releases to look forward to, as Mark tells us his new sherry barrel stock, while young, tastes amazing. Within the core range consistency and value are the priority, although this has led to depletion of 12 Year Old stocks. The 12 will soon only be available at the cellar door and in travel retail, so if you see one in your local bottle shop snap it up fast! Whisky isn’t the only spirit being made by the Hellyers Road stills. 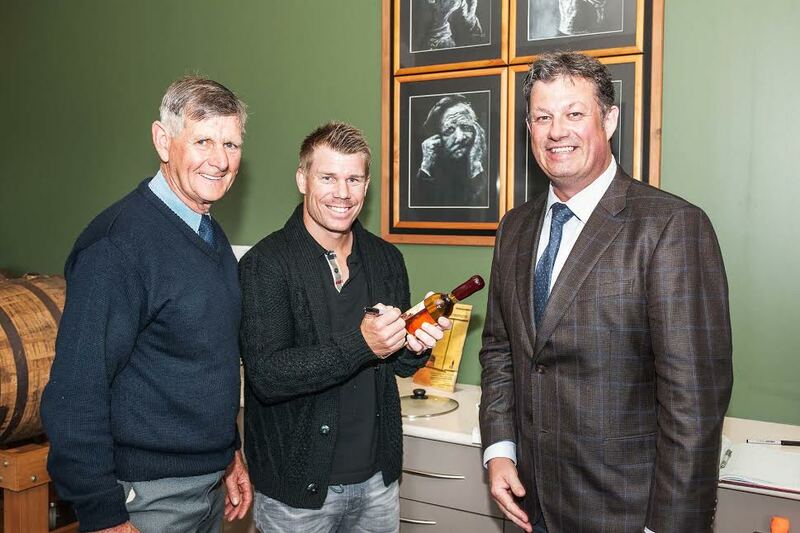 In partnership with Dean Lucas, the distillery is producing 666 Pure Tasmanian Vodka, a premium spirit which is part owned by Australian cricket vice-captain David Warner. Dave apparently caused a stir recently when he dropped by in a helicopter to see how his investment is made. What resonated the most with us was the humble and generous nature of our hosts. 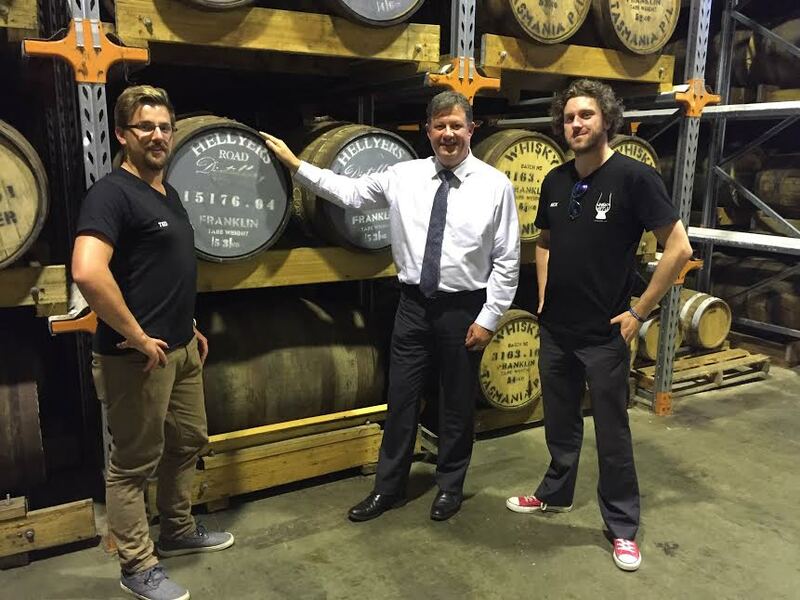 It is fascinating that despite their growing success and international awards, the biggest whisky distillery in the southern hemisphere still consider themselves to be small-town Burnie boys, just enjoying making a bit of good quality whisky.